Popular data recovery process is using recovery software to scan storage device for lost data such as photos, Microsoft Office Excel, apps, movies, video clips, etc. It tries to recover as many files as possible based on its features and algorithm. Partition corruption, virus infection, failed file system repair, deletion, formatting, etc. are causes that lead to data loss. Losing valuable data is something that all users may come cross even though nobody wants it. In general, successful recovery of lost data can be achieved only when file is not overwritten. Damaged data usually has less possibility to be recovered. Files are easily to get corrupted or overwritten if you save new data after file loss. In the event of overwriting is caused, recovered files may lose information like size, date, name, etc. and some files can’t be opened. Therefore, data recovery can’t guarantee a 100% successful recovery, but it’s the best solution to rescue lost files by far to those who do not keep a recent backup of lost data. In modern society, line and working relies on email very much. As a major communication channel, Email plays an important part in business affairs or personal connection. However, uses may find it difficult to back up every email as its attachments. Some email programs generates backup file automatically, but some not. Thus, once emails are deleted by accident or email program corrupts, it’ll be hard for some recovery programs to get lost emails back. There are indeed email recovery apps in the market, but few of them can get satisfied recovery result. Database is seldom used by home users but it’s quite important to companies. Database records everything for business such as customer information. Tiny logical corruption or damage may bring about data loss; sometimes users delete items without intention. Database usually builds in self-repair tool to fix common damages. Besides, most databases are backed up regularly with various plans. Thus, lost data can be restored from recent backup. What’s more, many professional database recovery companies can perform recovery from many databases. According to a recent survey, the deletion is the most common issue at present. All users of computer and other digital products are facing the challenge. Don’t worry, hard drive recovery or Recycle Bin recovery has turned to be an easy task. 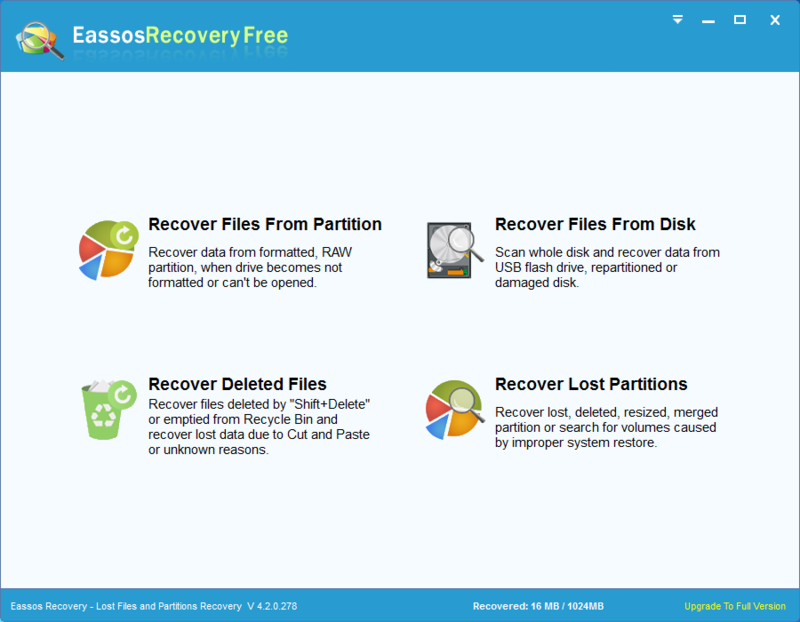 Most hard drive recovery software online can help you get back deleted data for free. 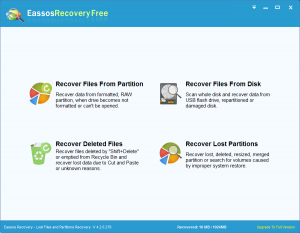 This entry was posted in Data Recovery and tagged file recovery, hard drive recovery software by EASSOS. Bookmark the permalink.